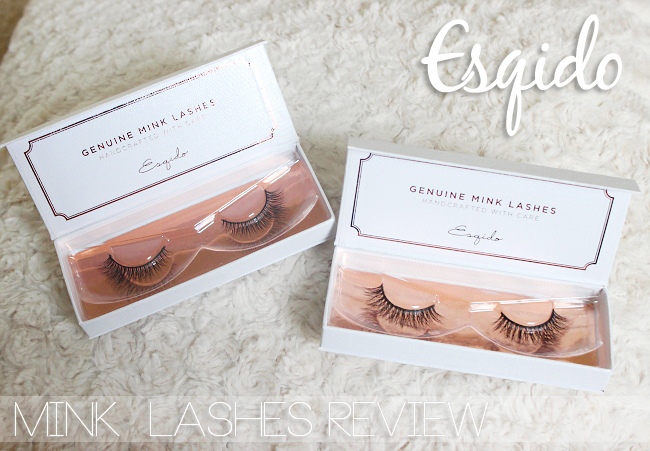 Esqido Unforgettable and Lashlorette Mink Lashes Review! Esqido false lashes are handcrafted natural mink lashes that will last up to 25 uses. They do cost more than a regular synthetic lashes you can find at your local drugstore, but the big difference is that Esqido products look very natural on. I love how false lashes add tons of volume and make my eyes look bigger, but even though I have lots of them in my collection I rarely use them, because I feel like everyone can see that I am wearing false lashes and that I just simply looks fake (I know, I am weird like that lol). 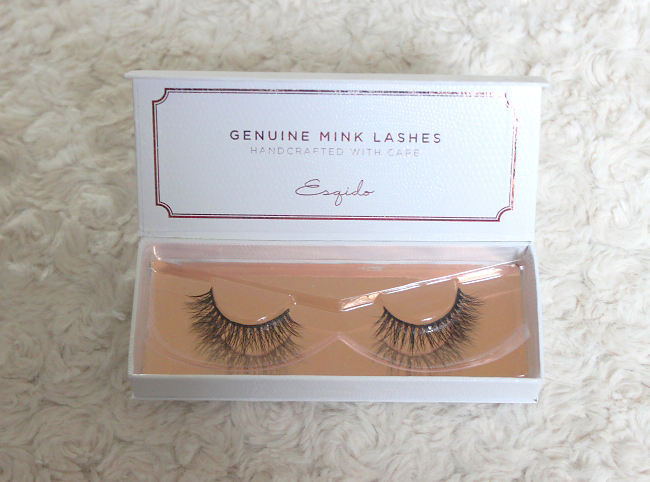 When Esqido contacted me to do a review on their mink lashes I was actually really excited to give them a try, since I have never used real mink lashes before so I was curious what the big difference was. I decided to go for two pair which are Unforgettable and Lashlorette. Both add a significant amount of volume but still look natural. I absolutely love the packaging of the lashes and I was really impressed with the quality and overall clean and sophisticated look of the small boxes. Like I have mentioned before I wanted to go for a natural but voluminous look and I think I made a great decision ordering Lashlorette and Unforgettable. First thing that I have noticed when I saw the lashes was how soft and delicate they looked and felt. Unforgettable became my favorite instantly because they made my eyes look amazing without showing the obvious. The best compliments I've got the night I wore them for the first time was that "there is something different in you but I can't quite put my finger on it" haha. 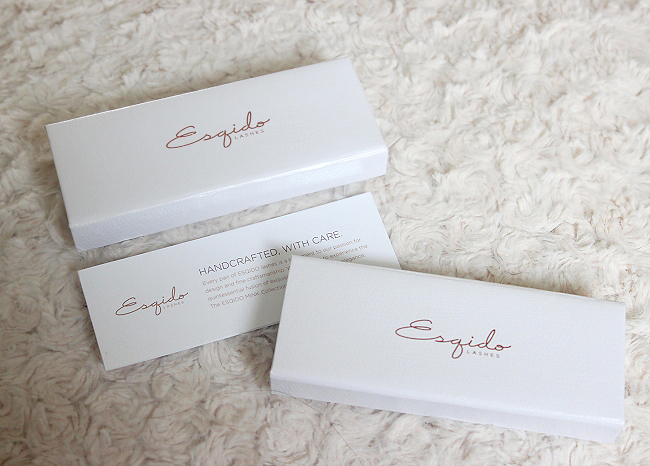 Esqido lashes are soft and look natural and feel very lightweight on. Whenever I have them on I completely forget that I am wearing false lashes. And Guys... that never happened to me before. Usually I would know that there is something glued to my eyes and by the end of the night my eyes would get red and I couldn't wait to take them off. That was never the case with Esqido. 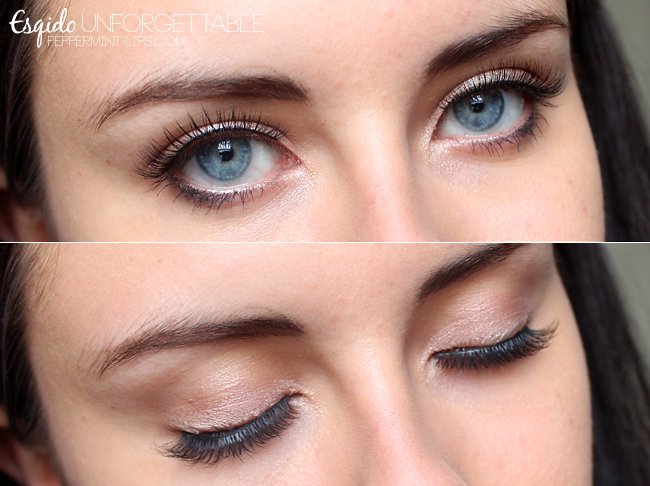 You can check my photos of wearing Unforgettable below without mascara and judge by yourself. I am in love with Esqido lashes and I think they are 100% worth the price, especially because they last so long (up to 25 uses). Since I wear false lashes usually only on a special occasions I used to struggle a bit with application before. My false lashes would stay on but most of the time the application was a messy and annoying process and I would always end up having eyelashes glue on my false lashes. To avoid all that the best trick I've found to be working for me is to apply small amount of glue on a q tip and then using it, make a small dots all around your lash line, concentrating on the inner and outer corner. Wait 20-40 seconds and then apply false lashes. Mess and foolproof guaranteed! Summary: If you are craving voluminous lashes that won't look too fake, Esqido is a way to go. Amazing quality plus beautiful, soft and natural looking lashes. I love them! Have a great day Ladies! Disclaimer: I have received free samples for review purposes. All opinions are honest and mine. 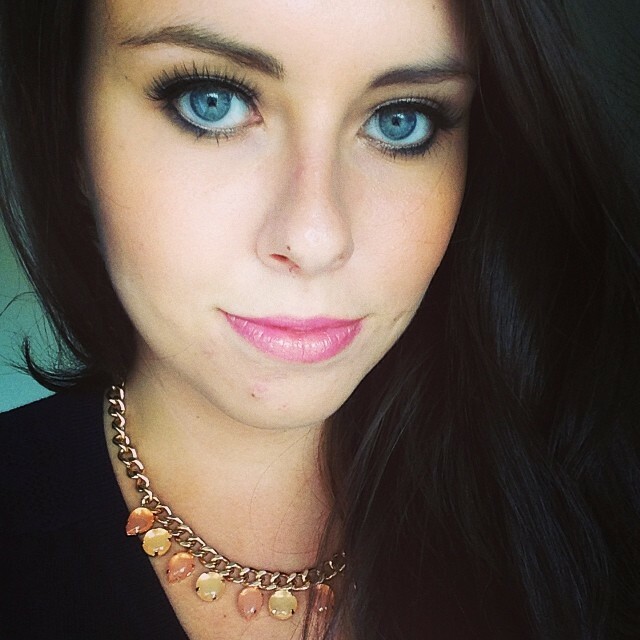 Mink Lashes, http://www.eyewearlashes.com LOVE<3 EYEWEAR LASHES CO.